This week’s announcements were… lackluster. But I guess not every week can be Christmas. 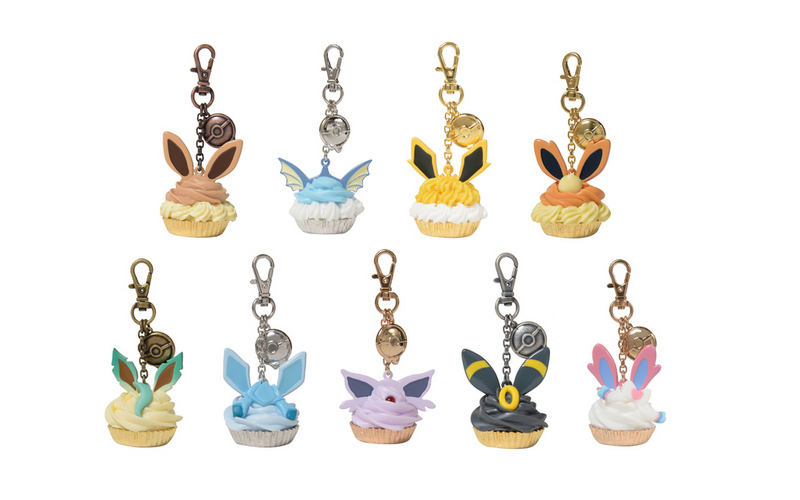 Q-Pot x Pokemon returns with Eeveelution themed cupcake bag charms! Unlike the original release, these charms will only be available via pre-order from the Pokemon Center On-Line Store. The pre-order period will run from February 1st (Friday) 10 am until February 28th (Thursday) 11:59 pm. Charms will start shipping out beginning of May. Each charm will cost 11,880 yen including tax and comes with a cute Eeveelution and sweets themed box and matching paper bag. Charms are limited 1 per design per person. K-Treasure is starting a new custom order jewelry service. 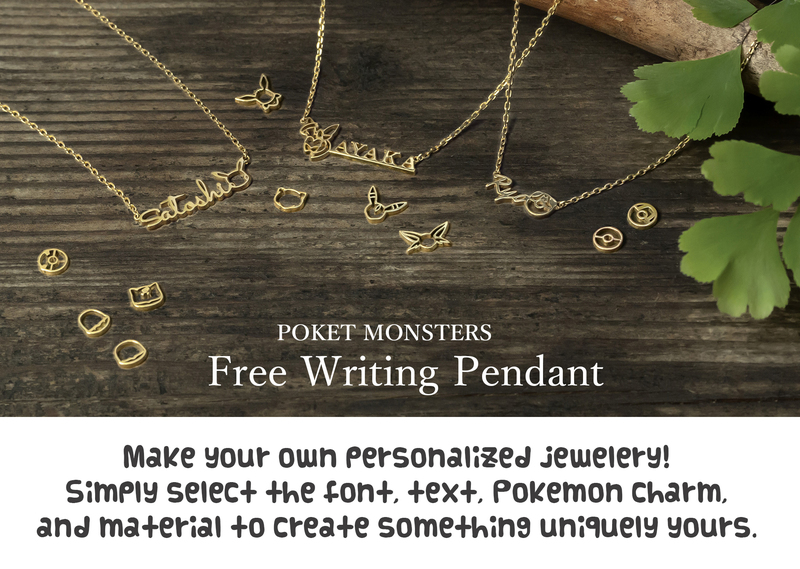 Referred to as “Free Writing Pendants”, customers will be able to choose the font, what it says (up to 8 characters – alphabet, numbers, plus the heart character and infinity character), a Pokemon charm (called a “mark” on the website) from 19 available choices, and the material (yellow gold, pink gold, or white gold). Necklaces are 29,800 yen each including tax and ship out within 4-5 weeks from ordering.